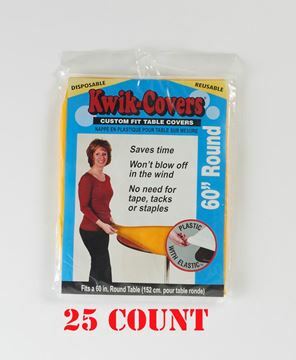 The Kwik-Cover is a lightweight, fitted vinyl table cover with specially-designed elastic edging that holds the cover in place, even in the wind. 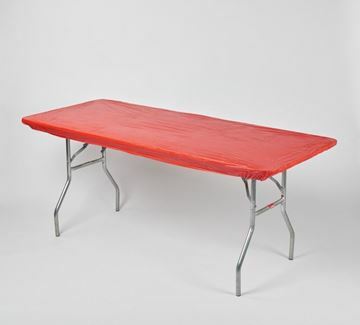 These elastic table covers are available in a variety of colors and sizes to fit most banquet and round tables. 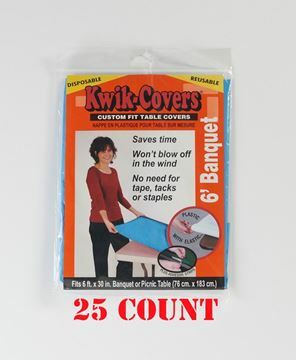 All banquet Kwik-Covers include a 4" self-adhesive tape strip along the length of each side for added support. Kwik-Covers are durable enough to be re-used, yet affordable enough to be disposed of after a single use making clean-up "a snap!" 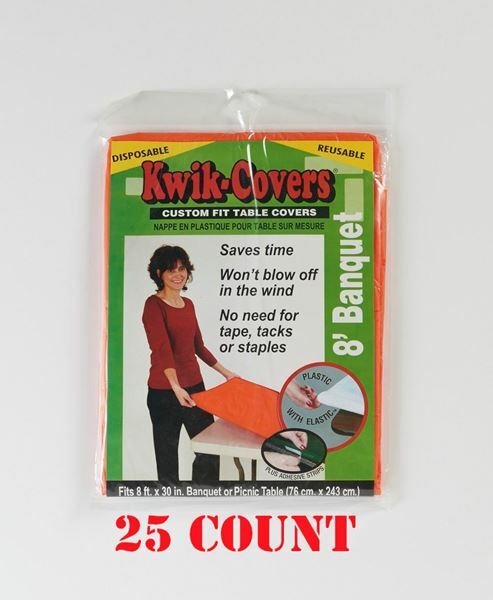 8' x 30" Individually Packaged Kwik-Cover for Banquet Tables are sold in bulk quantities only. Color selections must be ordered in lots of 25. Available colors are: red, white, royal blue, hunter green, black, gold, orange, purple, maroon, red gingham, black and white checkered, blue gingham, zebra and leopard print. Our Spinner Rack looks great in any showroom or store and will help boost sales! Not currently listed on our website. Call for more information and pricing on the Spinner Rack. Individually Packaged 6'x30" Banquet Table Kwik-Covers are color coded for different sizes and ready to hang on peg hooks or our Spinner Rack. These elastic table covers currently available red, white, royal blue, lime green, hunter green, black, gold, orange, purple, maroon, pink, light blue, red gingham, black and white check, patriot, celebration, blue gingham, zebra and leopard print. Minimum order 25 each color.